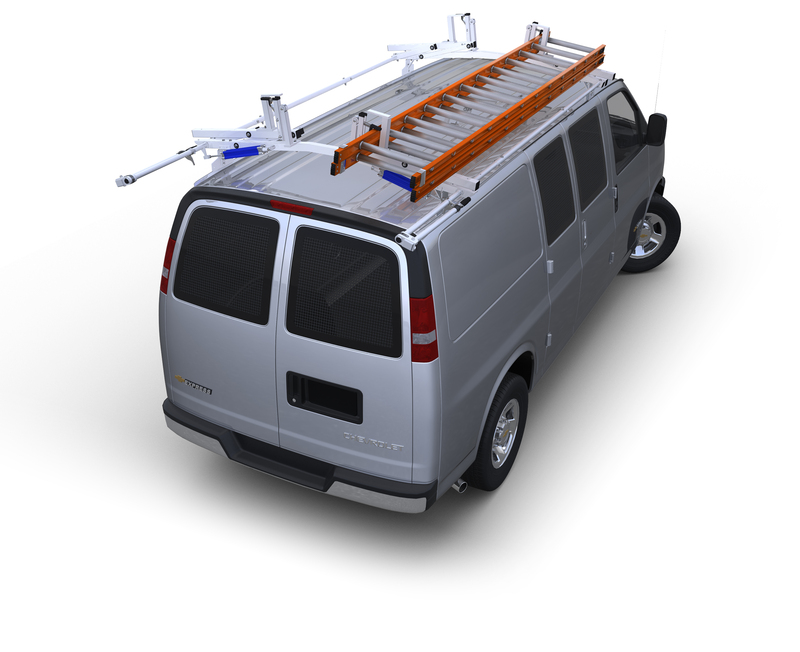 Our system one ladder rack is a versatile rack with many of the same features as our Contractor Rig. This configuration is used by contractors who carry ladders, rigid overheard cargo, large dimension lumber etc. It's 4 1/2" wide, extremely rigid freestanding trusses can be positioned anywhere on the Trak base and have a 600 lb. load capacity with the rear truss being completely removable in seconds.